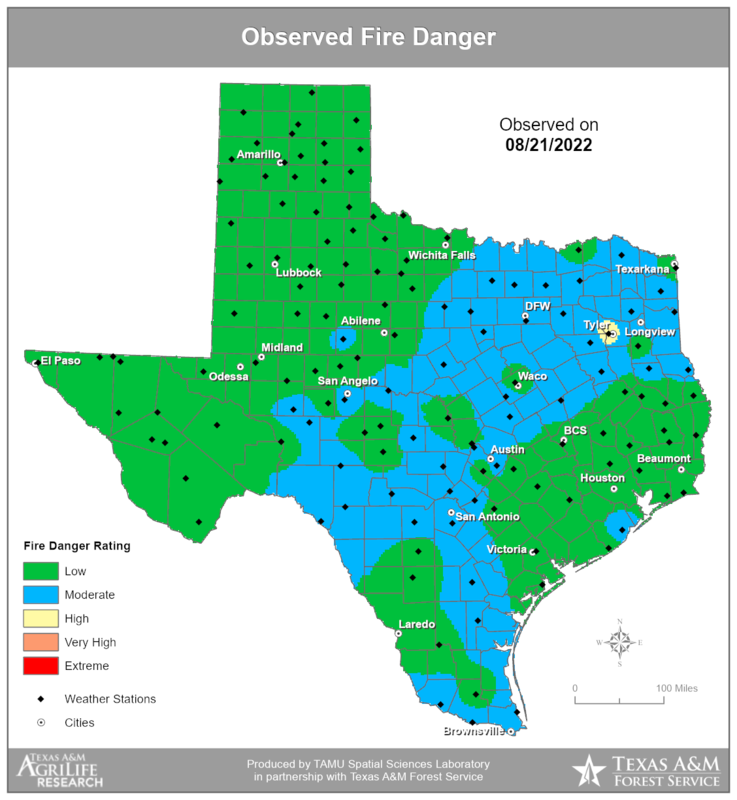 Following the 1998 fire season, Texas A&M Forest Service established the Predictive Services Department as a permanently staffed unit to provide short and long-term forecasts and analysis. The program produces information and products that are used at the national, state and local level by firefighters, elected officials and public administrators. To maintain a continual assessment of wildfire risk at the state, regional and local level, TFS continually analyzes current and predicted weather conditions, wildfire occurrence and the presence and availability of vegetative fuels throughout the year. Using this information, agency staff develop daily and seasonal forecasts to assist state and local governmental entities in preparing for and responding to periods of elevated fire danger or fire seasons. 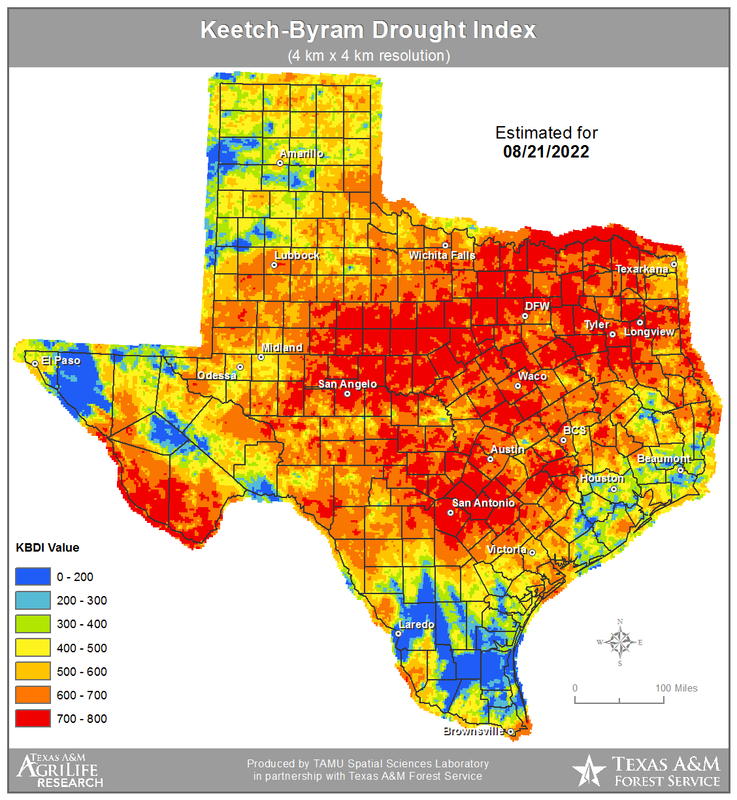 Most of the products (daily fire danger, drought indices, and fuel dryness) have been developed as automated, online and publically available resources through a partnership with the TAMU AgriLife Spatial Sciences Laboratory. + Wildfire Risk – Where’s the risk? With rapid population growth in wildland urban interface areas, wildfire is a serious threat to the people, property and natural resources across Texas. A disastrous wildfire season causes hundreds and thousands of people to lose their homes. Creating heightened awareness of wildfire risk issues and working with communities to develop prevention and mitigation strategies are becoming increasingly important to ensure safety. 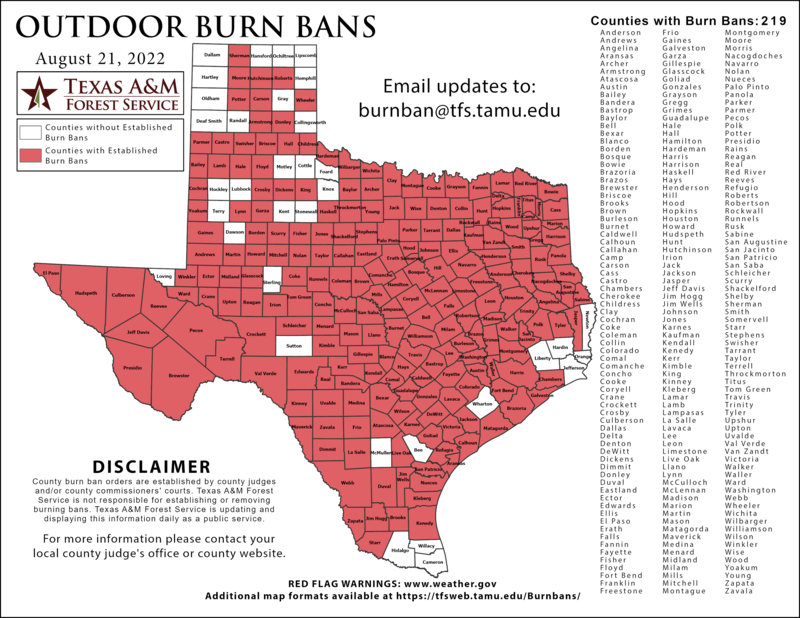 The Texas Wildfire Risk Assessment Portal, or TxWRAP is available to help address this concern. For additional predictive service products, please visit the Texas Interagency Coordination Center. For any question, please contact our Predictive Service Staff.